When the Moors arrived in Cordoba, they found a Visigothic church in the center of town. The Emir Abd ar-Rahman I bought the church and built over them the mosque (started at 784 a.C.). When one enters the Mezquita, there is a hole in the floor in one part, and one can see the Visigothic remains. The Moors used the marble columns of the Roman temple which had occupied the site previously, as well as other destroyed Roman buildings in their construction of the mosque. It took 2 centuries to finish the mosque, and at that time it was the second biggest mosque in the Muslim world. 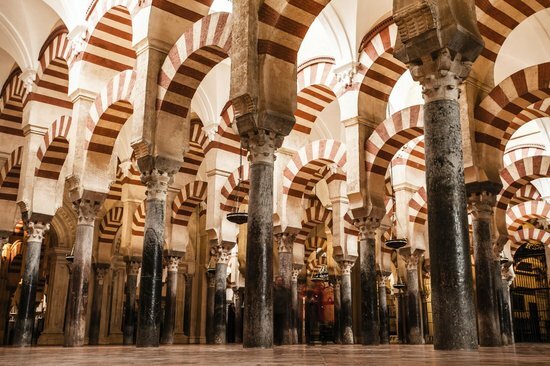 When the Spanish reconquered Cordoba in 1236, they built a renaissance nave in the middle of the mosque and the mosque became the Christian cathedral. The continued use of the church has saved the mosque from destruction, especially during the time of the inquisition. The most important architectural feature of the Mezquita are the double horseshoe arches, made of jasper, onyx, marble, and granite. There are 856 columns in the church and they seem to be a sea of arches and columns to the visitor. All visitors are impressed. The Catholic section is also beautiful, and there was reconstruction for several centuries, so one also sees baroque elements in the church. The Mezquita-Cathedral has a huge patio and garden filled with short trees. Many times the Moors would pray in the patio, so most mosques have large patios. The church and the patio together are huge and it is interesting to look at them from the sky using Google Earth. Anyway the Mezquita is one of Spain’s most impressive monuments, one of a kind. 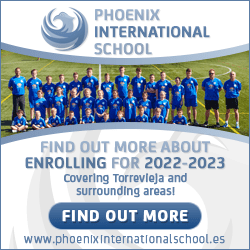 The official website is here where there is a magnificent 360 degree tour.